The National Institutes of Health (NIH) has chosen Emory University to join the All of Us Research Program, a national effort with more than 25 collaborating institutions charged with advancing research into precision medicine. Emory is part of the SouthEast Enrollment Center (SEEC) network, which also includes the University of Miami Miller School of Medicine, Morehouse School of Medicine, and the OneFlorida Clinical Research Consortium led by the University of Florida. The All of Us Research Program aims to gather data over time from more than one million people in the United States, with the goal of accelerating research and improving health. Researchers will use the data for studies on a variety of health conditions, to learn more about the impact of individual differences in lifestyle, environment, and biological makeup. The SEEC network will help extend the geographic coverage of the All of Us program to the southeastern states of Georgia and Florida and will strengthen its reach within underserved communities, including lower-income, Hispanic and Latino, African American, American Indian, and rural communities. Michael Zwick, PhD, will lead Emory's participation in the SEEC network. He is Assistant Vice President for Research in Emory's Woodruff Health Sciences Center and Associate Professor of Human Genetics and Pediatrics. The Emory team includes faculty members from the School of Medicine, including Drs. Arshed Quyyumi, Greg Martin, James Lah, and Andrew Post, in addition to Dr. Alvaro Alonso from the Rollins School of Public Health. Emory will obtain informed consent and enroll participants from the state of Georgia in support of the All of Us Research Program. Ongoing engagement of program participants will also be a critical function supported by this award. "This is a very exciting, collaborative project, and we look forward to working with our SEEC network partners to discover new information about diverse, and often underrepresented populations that can help us more precisely prevent and target disease," says Zwick. "This program has the potential to speed the ongoing transformation of our healthcare systems, empower individuals to actively manage their health and healthcare, and promote critical research that can improve the lives and health of the people of Georgia." Other new awardees include the Southern All of Us Network, including institutions in Alabama, Louisiana and Mississippi, and All of Us, Wisconsin. 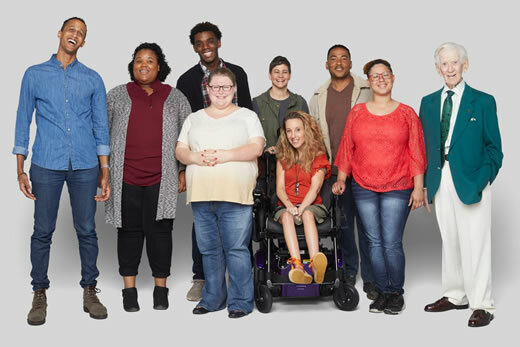 The All of Us Research Program plans to continue building the network of health care provider organizations over time to engage a participant community that reflects the geographic, ethnic, racial and socioeconomic diversity of the country. The network includes regional medical centers, community health centers, and U.S. Department of Veterans Affairs medical centers. To learn more about Emory's involvement in the project, please visit genome.emory.edu. For more information about the All of Us Research Program and to sign up for updates, visit www.joinallofus.org. View the NIH press release. SEEC is a consortium of four academic health care organizations in Florida and Georgia: University of Miami, University of Florida, Emory University, and Morehouse School of Medicine. These two states represent economic, racial, geographic and ethnic diversity that is often underrepresented in NIH-funded studies. The SEEC consortium aims to ensure that this diversity is sampled in support of the All of Us Research Program.